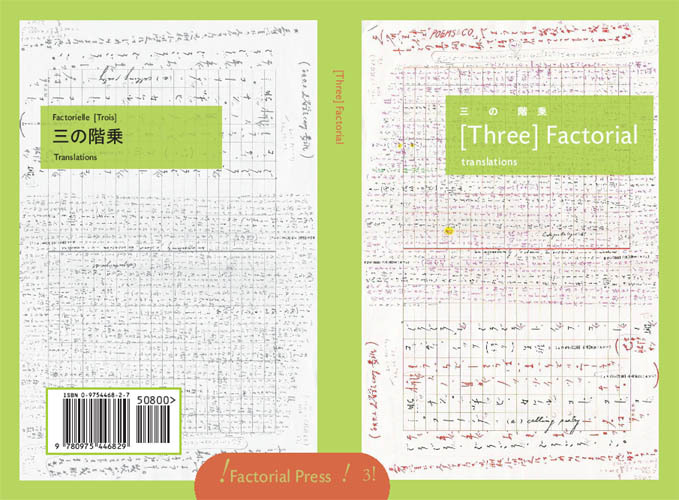 Factorial Press was founded in order to publish and encourage collaborative writing, and has been expanded to include works in translation, mostly from Japanese. Recent published works have included poems, plays, prose, instructions, conversations, headphone-driven performance text, titles, games, and scores. 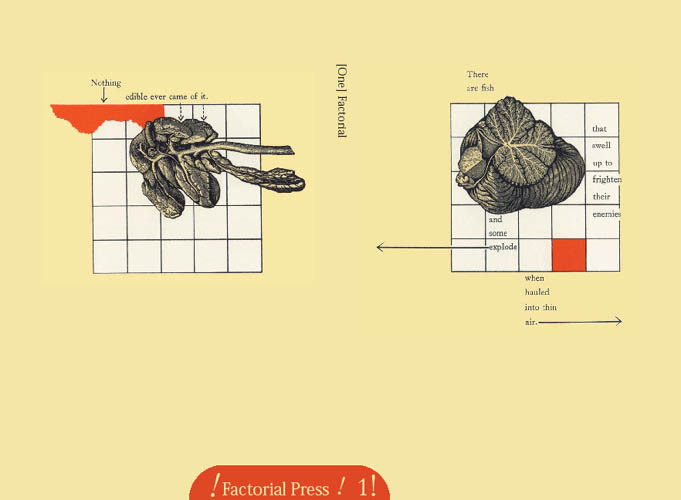 Factorial, an annual journal, will present a unique collection of writing and/or translations by many emerging and established writers and artists. 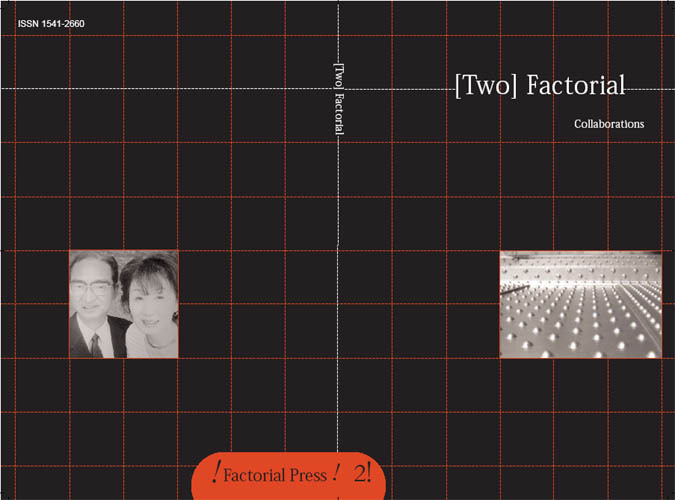 Factorial is edited by Sawako Nakayasu, along with rotating or impermanent guest editors. Check out www.factorial.org. 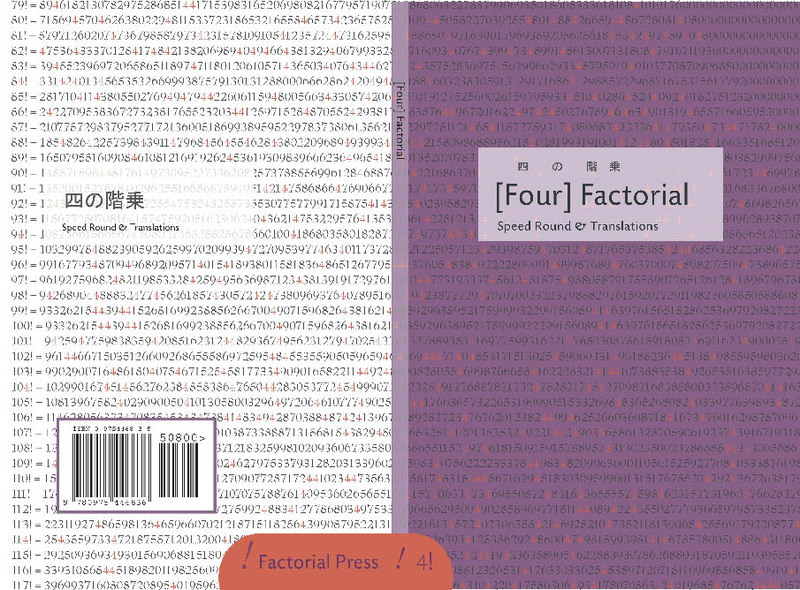 Factorial can be purchased through Half.com or Amazon.